Conglomerate Reliance Industries Ltd took a step closer to launching 4G (fourth generation) cellular services into a fiercely competitive Indian telecoms market with a deal on Tuesday to lease undersea cable capacity from Bharti Airtel. Reliance, controlled by billionaire Mukesh Ambani, spent US $3 billion in 2010 on 4G, including payment for nationwide airwaves, but has said little about its plans. After Nokia and Royal Dutch Shell, the income tax department has sent a demand notice to software giant Microsoft's Indian arm, which said it has challenged the same. The IT department reportedly sent notice to Microsoft seeking details of its income from Indian operations for four years beginning with the 2005-06 fiscal. Private lender HDFC Bank on Tuesday posted a 30.1 per cent rise in net profit at Rs 1,889.8 crore for the January-March quarter of fiscal 2012-13 over the same period last year. The country's second largest private lender had a profit of Rs 1,453.08 crore in the corresponding quarter last year. For the entire fiscal ended March, the bank's consolidated net profit grew 30.9% over FY12 to Rs 6,869.6 crore. Its total income during the reporting quarter rose 21.1% to Rs 11,127.5 crore over the corresponding quarter last year while core net interest income went up by 20.6% at Rs 4,295.3 crore, the bank said in a statement. The Standing Committee of Petroleum and Natural Gas has recommended that Indian Railways and other state transport undertakings should be exempted from paying the prevailing market prices for diesel. In its report placed in Parliament on Tuesday, the panel has strongly stated that the recent decision to sell higher priced diesel to railways and state transport undertakings will have an adverse effect on these agencies and consumers. Haryana State Cooperative Supply & Marketing Federation Ltd. (Hafed) has modernized the rice mill at Taraori at a cost of about Rs three crore to meet the demand of rice in national and international markets. Also, a flour mill costing Rs two crore has been set up in Taraori. Last week, Reliance said its Reliance Jio Infocomm Ltd had finalized agreements with infrastructure providers and device makers, among others, for its 4G venture, without naming them. The company's commercial launch, widely expected later this year, would bring a deep-pocketed newcomer to the market where fierce competition and regulatory turmoil have battered profitability and forced some players from the market. "It's clear now the launch is imminent," said Sandip Sabharwal, head of portfolio management services at Mumbai brokerage Prabhudas Lilladher, adding it would still take Reliance about a year to start 4G services. Earlier this month, Reliance signed a fibre optic network-sharing agreement with younger brother Anil Ambani's Reliance Communications, their first business deal since ending a long running feud three years ago. The companies said they could cooperate further. Tuesday's tieup further signalled Reliance Jio's willingness to cooperate with competitors. "The deal marks Reliance Jio's continued efforts to rapidly grow and expand both its network and infrastructure by building an ecosystem with multiple carriers and service providers," Reliance said in a statement. Reliance and Bharti, India's biggest cellular carrier, declined to provide terms of the deal. Reliance also declined to say when it would launch the service. 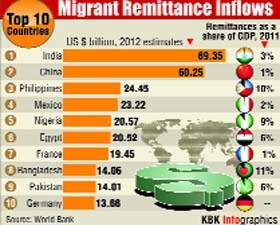 "It is telling that they are trying to have international data connectivity. Reliance is trying to come up in a very big way and is pretty serious about the telecom business," said Ankita Somani, telecoms analyst with Angel Broking. Shares in Reliance Communications, the No.3 cell operator, slid about 5% on the BSE on Tuesday, after the announcement of Reliance Industries' deal with Bharti, before paring some of those losses to close 3.3% lower. Some in the market had said the tieup between Reliance Jio and Bharti appeared to lessen the likelihood for future deals between the carriers controlled by the Ambani brothers. However, Tuesday's deal is for use of an undersea cable that connects Chennai to Singapore, a route on which Reliance Communications does not own capacity. Reliance Communications had gained 76.8% in April through Monday, partly on hopes it would extend cooperation with Reliance Jio to include leasing tower space to the new carrier. Reliance Jio has yet to announce any tower leasing partner. 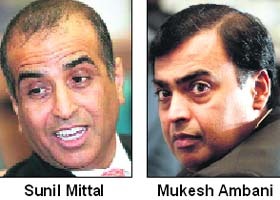 Reliance Communications was hived off from the combined Reliance empire after the brothers split up the family businesses in 2005 in a deal brokered by their mother. Details have been sought about income from work done at Microsoft's Indian research and development sites on several softwares, which were marketed globally. When reached for comments, Microsoft India said it has approached appellate forums for the resolution of the issue. "Microsoft complies with the tax laws in each jurisdiction in which we operate. We are seeking relief against the transfer pricing (TP) adjustments through the appropriate appellate forums," it said in an e-mail statement. The tax notice reportedly does not quantify the amount of profits earned by its US-based parent Microsoft Corp that are attributable to the work performed at its India R&D centres. Private lender HDFC Bank on Tuesday posted a 30.1 per cent rise in net profit at Rs 1,889.8 crore for the January-March quarter of fiscal 2012-13 over the same period last year. The country's second largest private lender had a profit of Rs 1,453.08 crore in the corresponding quarter last year. 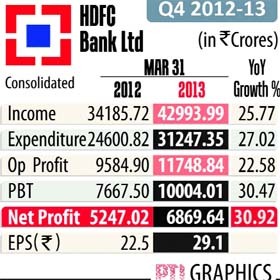 For the entire fiscal ended March, the bank's consolidated net profit grew 30.9% over FY12 to Rs 6,869.6 crore. Its total income during the reporting quarter rose 21.1% to Rs 11,127.5 crore over the corresponding quarter last year while core net interest income went up by 20.6% at Rs 4,295.3 crore, the bank said in a statement. Noninterest income grew to Rs 1,803.6 crore from Rs 1,628.9 crore in the same period last year.On the expenditure front, operating expenses grew 17.7% to Rs 2,663.7 crore, it said. Net interest margin for the quarter ended March 2013 was 4.5% owing to changes in classification norms, the statement said, adding, but for the changes, it would have been flat sequentially at 4.3%. The share of low cost current and savings account deposits increased to 47.4% against 45.4% in the previous quarter ended December. 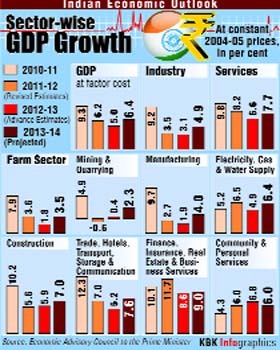 Gross NPA ratio improved to 0.97% as on March 31, from 1.02% in the previous year. This will reignite the debate on state transport undertakings getting high priced diesel as several state governments have been opposing it and the decision has been challenged in courts also. The panel noted that dual pricing of diesel has been introduced by oil marketing companies (OMCs) to bulk consumers. This will entitle OMCs to sell diesel to bulk consumers at a nonsubsidized market determined price. The committee also noted that 17.8 per cent of diesel supply was sold directly to large consumer segments like the defence sector,Indian Railways, state transport undertakings, power and cement manufacturers. On exclusion of higher income groups from LPG (liquid petroleum gas) subsidies, the panel has reiterated households with income of over Rs 6 lakh a year should not be eligible. This will reduce the governmemt’s burden and it has asked the petroleum ministry to devise some criteria to map incomes and devise a mechanism to implement this measure. While suggesting several calculations in which the subsidy burden of oil companies can be reduced, the committee has suggested pipe gas projects in cities where LPG customers are high. It has also suggested by the panel that direct benefit transfer of LPG and direct transfer of cash subsidy on kerosene along with ethanol blended petrol and biodiesel and “Know Your Customer” (KYC) norms for LPG gas to cut down subsidies. However, the committee has cautioned that without attaining complete financial inclusion of the entire population by banking services as well as “Aadhar” cards any move by the government to implement direct benefit transfer of subsidies should not exclude genuinely entitled population from the subsidy. A federation spokesman said on Tuesday that the Haryana government has declared Hafed as a nodal agency for construction of godown of about 3.653 million metric tonnes capacity in the State under the the central government’s private entrepreneurs godown scheme introduced in 2008.